Capable. Durable. Smart. Stylish. The 2018 Ram 1500 is the king of light duty trucks. It has the smoothest ride in its class, an exceptional engine lineup, iconic styling, and a luxurious interior. The Ram 1500 has the highest owner loyalty of any half-ton pickup, and the 2018 model is available now at Landers Chrysler Dodge Jeep Ram in Norman, Oklahoma. Landers CDJR customers come in from across the Oklahoma City metro, including Edmond, Moore, Midwest City, Yukon, and Del City. Stop by today and take one for a test drive. 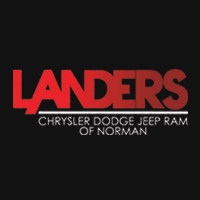 Contact Landers CDJR of Norman. With smart engineering like the available Class-Exclusive Active-Level Four-Corner Air Suspension or standard Class-Exclusive TorqueFlite 8 eight-speed automatic transmission, there’s really not much the 2018 Ram 1500 can’t do. The truck has 395 gas horsepower, 420 diesel torque, 10,620 pounds of towing capability and 1,880 pounds of gas payload. With the Four-Corner Air Suspension, the Ram 1500 offers automatic load leveling, adjustable air springs that allow the driver to raise and lower the vehicle to different settings, and dashboard controls for manually adjusting clearance. Towing features include Hill Start Assist, an integrated trailer hitch and Trailer Sway Control. With a selection of multiple engine configurations, you can decide whether diesel or gas is the best option for your truck. The available Uconnect system puts you in command of your truck and allows you to have both a mobile office and hopping entertainment center. The 8.4-inch touch screen utilized voice commands and hands-free calling for maximum convenience. 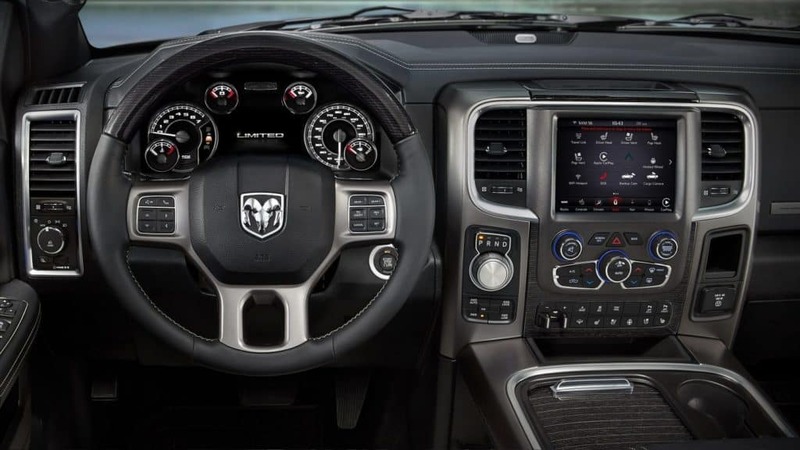 You can be your truck’s DJ with all your favorite music at your fingertips, and the available navigation system gets you where you’re going every time. The available Driver Information digital Cluster with 7-inch color display shows you only the information you want, because you can customize the displayed data according to your needs. It’s the most clear, colorful and convenient way to keep up with your Ram’s performance. The 2018 Ram 1500 doesn’t stray far from the classically iconic Ram truck style, with a few new features. There is a new special edition called the Harvest Edition for 2018, as well as a new top-of-the-line Limited Tungsten Edition. The Harvest Edition is designed for farmers and farm work from top to bottom, from the spray-in bedliner to the on- and off-road tires. The Limited Tungsten Edition boasts a leather interior and distinct exterior features including a sport hood and chrome grille adorned with the Ram letters. On any of the trims, you can get the available class-exclusive Rambox Cargo Management System; which is a durable, drainable and lit storage system incorporated into the side rails of your truck bed. If you like what you see, you can make a new 2018 Ram 1500 yours today by visiting Landers Chrysler Dodge Jeep Ram of Norman. 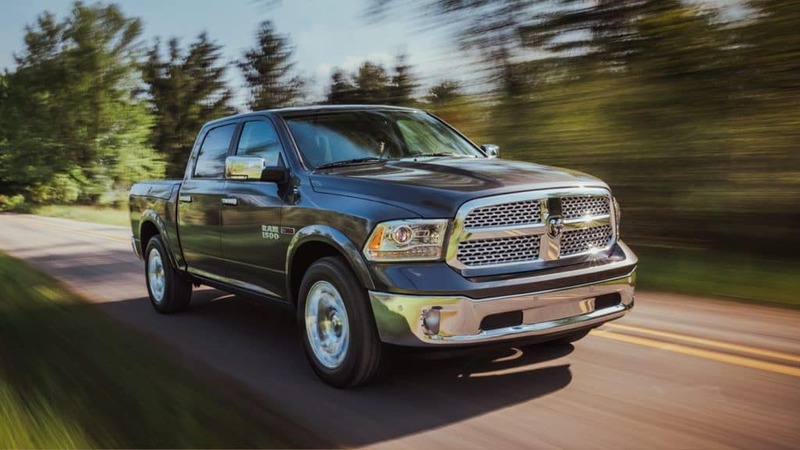 Browse our 2018 Ram 1500 inventory online.